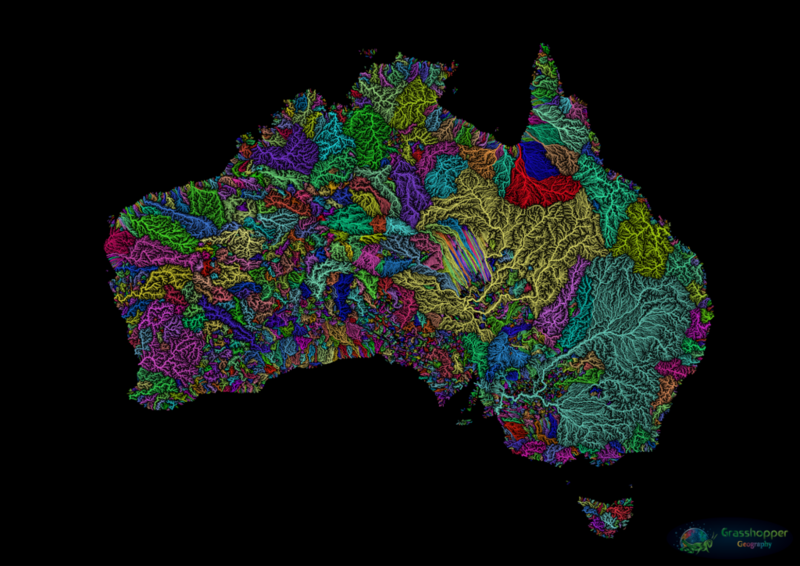 Whoever says science isn’t beautiful has obviously never seen one of Robert Szucs’ colorful river basin maps. 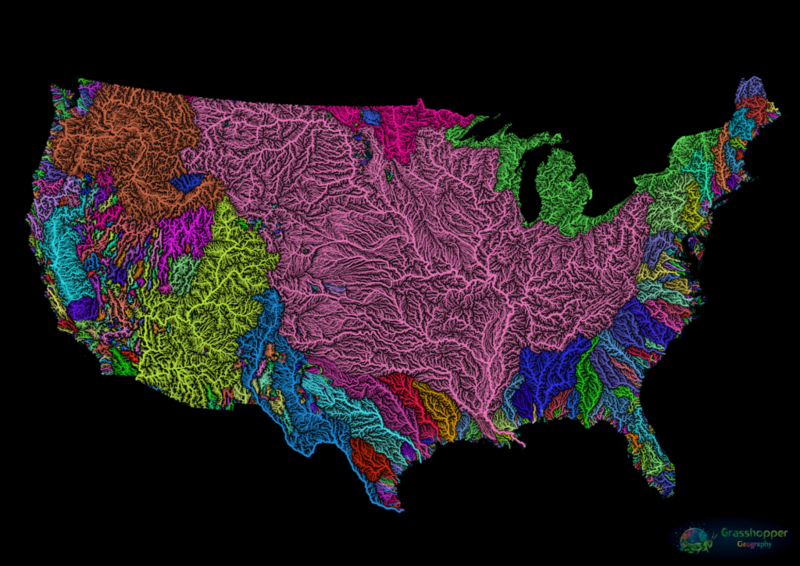 The rivers of the US. All image credits: Robert Szucs / Grasshopper Geography. Scuzs is a cartographer with a noble heart. He studied geography and Geographical Information Systems (GIS) — all the interactive maps we use today — think Google Maps. But he didn’t really enjoy the cubicle life, as he himself describes it. So he gave the comfort of a monotonous life away. This change of career has also enabled him to indulge in more creative projects and start Grasshopper Geography, which grew from some hobby projects and maps he initially posted. Now, Szucs is working really hard to create fresh, colorful, eye-opening and scientifically accurate maps, of the highest quality possible. 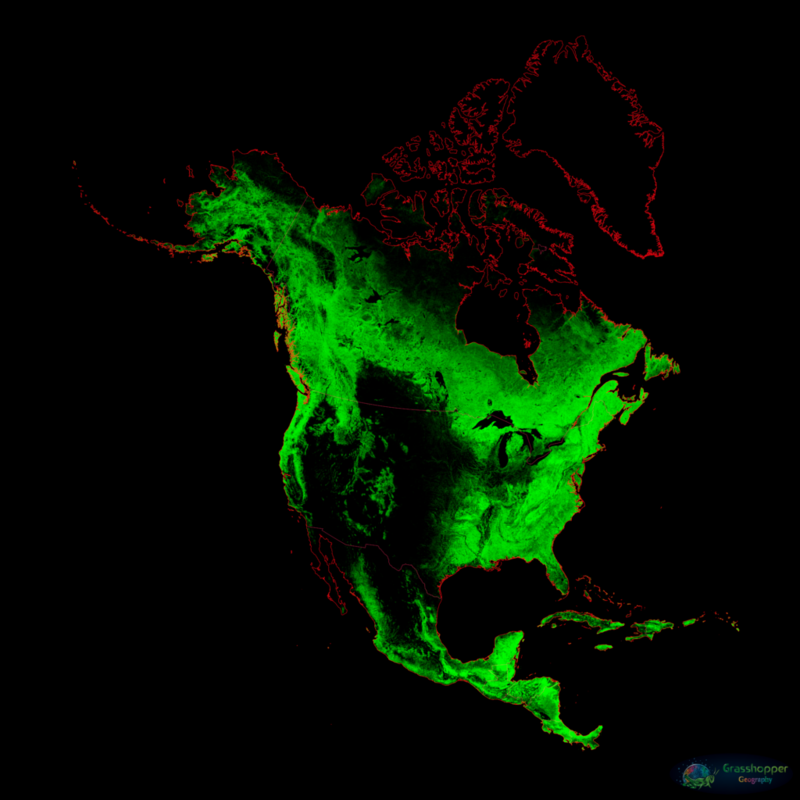 These maps make us go ‘Wow’, and then they make us think. For instance, why do you think there’s such a big empty space in the one below? 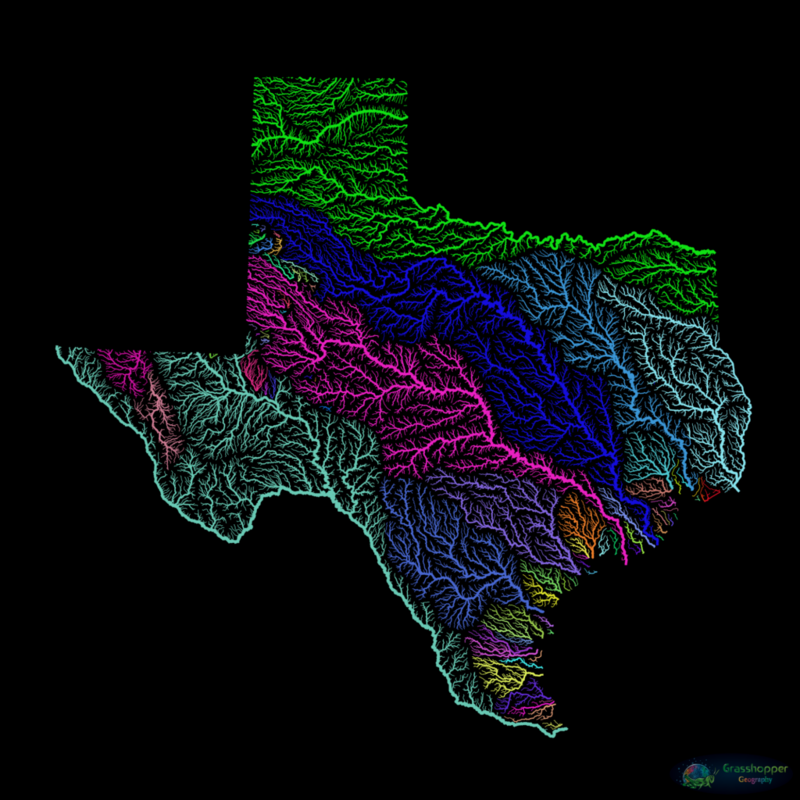 So far, his most inspiring project has been detailed and colorful river maps. 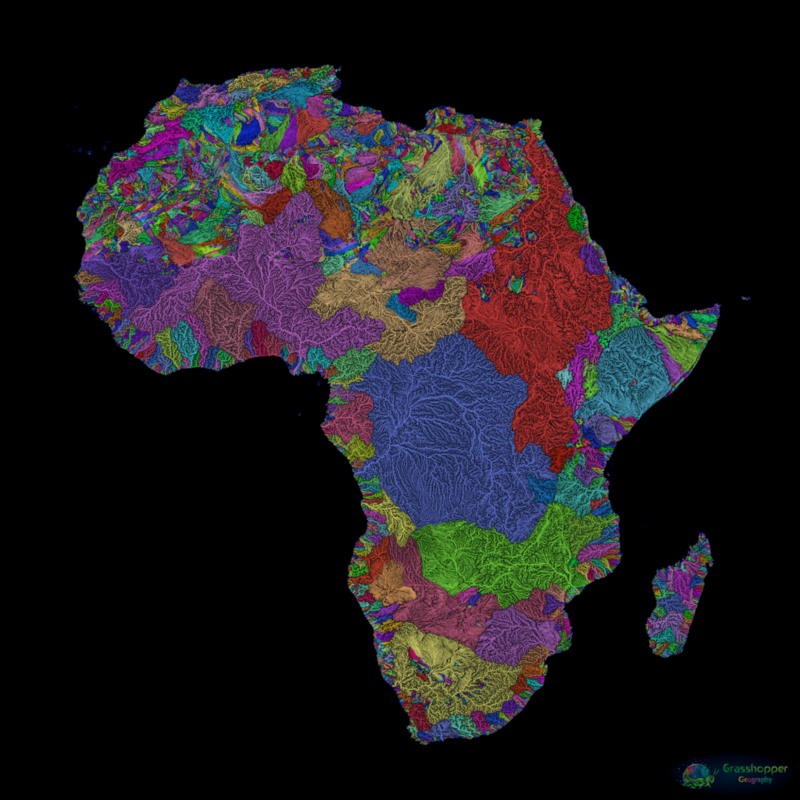 The vein-like rivers and river basins, dividing familiar countries into usually hidden geographies are simply stunning. 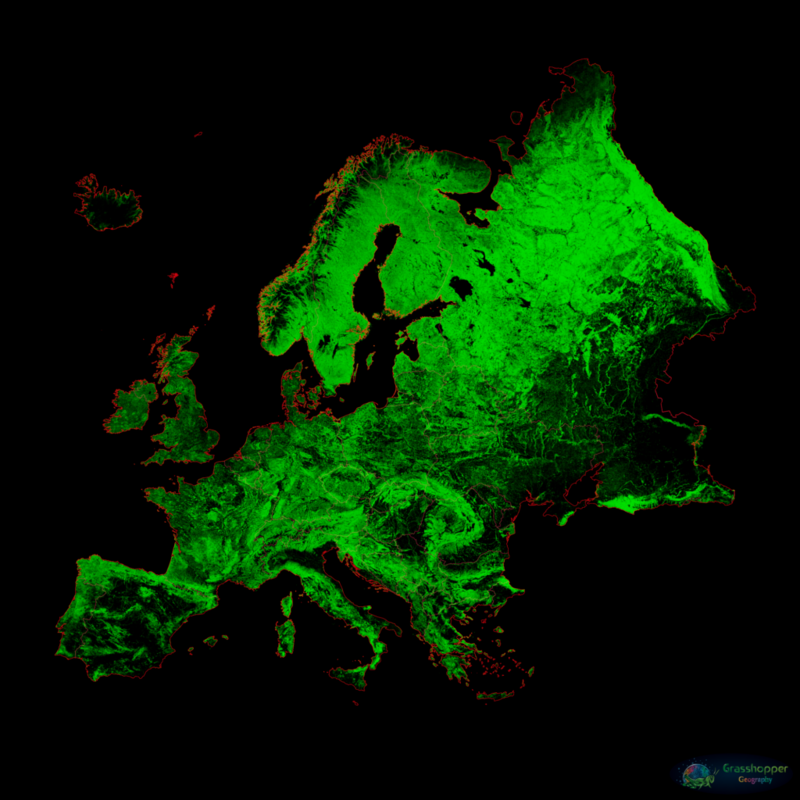 He also works on custom maps, though most of the time he focuses on larger-scale geographies. So far, the internet seems to be loving Szucs’ work. It enables him to make a living from his passion while allowing him to contribute to worthy causes. Surviving as an independent GIS-turned-artist, however, is challenging. If you’d like to support Robert or would like to buy one of his maps, check out his Etsy page or the contact page on Grasshopper Maps. He’s also looking for an interesting cause to volunteer in 2019, so if you’re in need of a good GIS-her, give him a shout.